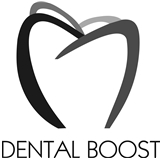 Dental Boost (Hialeah) - Book Appointment Online! At Dental Boost we are taking a whole new level of responsibility to provide you with a comprehensive treatment plan that helps you understand your overall health. Dental Boost provides state –of – the –art equipment, intra-oral camera and digital x-rays to name the least. We are a one stop shop and we have everything under one roof. We have a team of professionals from Endodontic, Orthodontic, General Dentist and Oral Surgeon in order to accommodate your dental needs. Dental Boost is a beautiful modern office with a relaxing and cozy feel to ensure our patients have a great experience while visiting us. We provide standard of care based on a Healthy Mouth Baseline. We take pride in educating our patients on how an unhealthy mouth can affect your overall health.